The cost of heating your home in the Delaware Valley doesn't have to be a brand new shock every month. ECI Comfort has an ultra-efficient solution that works in any home, regardless of whether it's just being built, or it's a drafty, historic property where installing a traditional system would require extensive renovations. We've done it all. 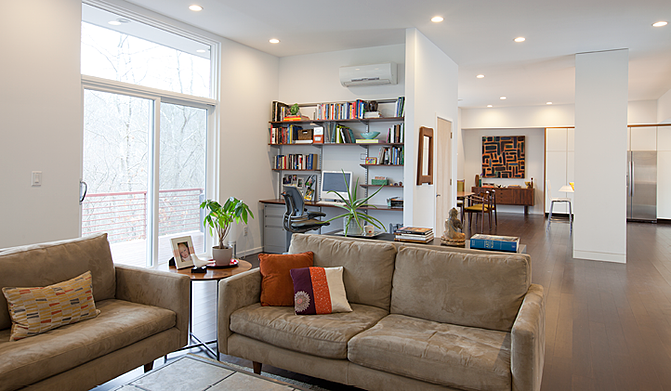 Ductless heat pumps keep you and your budget comfortable, even when winter is at its worst. Heat pumps work great in more moderate climates, but traditional models just can't keep up with the winters we get in the Bucks County/Philadelphia area. What we have are new, cutting-edge ductless systems that use heat pump technology, but with a high-tech twist -- they work the way you need them to, even if the temperature outside is 13 below zero. Yes, 13 degrees BELOW zero! What's more, they cost less to operate than any other HVAC system that you could choose. Efficient operation is important, both for comfort and cost savings. Mitsubishi ductless heat and air systems are far and away more efficient at heating than any traditional HVAC unit. And once summer comes, they're up to 40 percent more efficient than window air conditioners. In short, your system will work less, use less energy, and produce a more comfortable home, all at the same time. How great does that sound? And, if an ecologically-sound heating solution is as important as saving money, you should know that the award-winning Mitsubishi ductless systems we install use eco-friendly refrigerants, have washable filters, and that up to 85 percent of every unit is recyclable. Wouldn't it be great to have a heating system that automatically adjusts to keep you comfortable all the time? 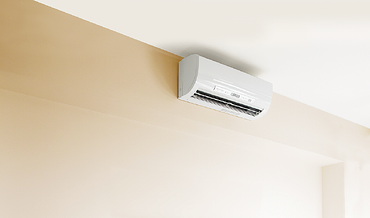 Mitsubishi ductless systems do that using Hyper-Heating INVERTER (H2i®) technology, but without a staggering heat bill. Another feature these systems offer is true zone control. If you don't want to heat every room in the house, you don't have to. Or you can keep some rooms warmer than others. It's up to you. H2i® technology is different from traditional units in that it doesn't heat up and then cycle down repeatedly. Instead, it warms to the right temperature, and then adjusts continually to keep each zone at an even temperature. And it does this without the expense and energy consumption of a long and costly warming cycle every time the temperature indoors drops too low. The ENERGY STAR® label is a nationally recognized symbol that means savings and comfort to you. And we offer more of these systems than we ever have in the past. 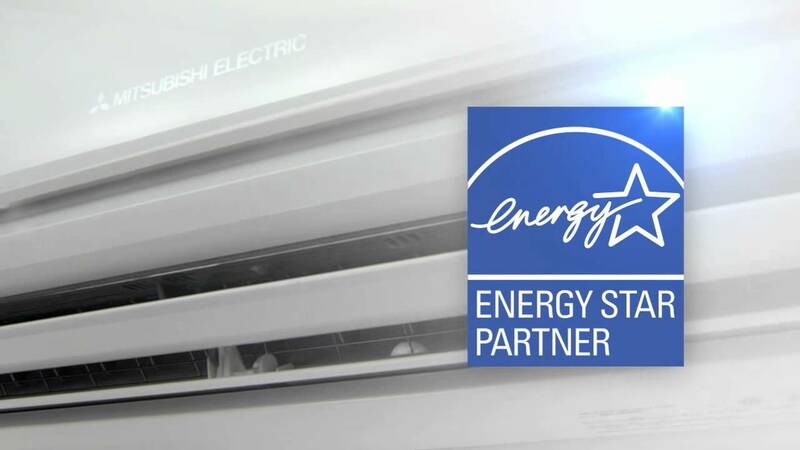 With a new Mitsubishi ductless system, you may qualify for federal and state tax benefits, and you may also qualify for a rebate with your utility company, which just compounds the savings. The ENERGY STAR® rating translates to less energy use, ecologically sound materials and construction, and a heating bill with pleasant surprises - not disappointing ones. Nearly all of the Mitsubishi systems that we offer qualify. Ductless heating and cooling systems are heat pumps, but they're nothing like any you've ever seen. Mitsubishi employs technology that's leading the world in efficient, cost-effective heating. You'll feel and see the difference, even when it's too cold outside for a typical heat pump to work properly. When ECI installs your new ductless system, you'll have a revolutionary heating and cooling solution that's certified efficient. You'll also have the peace of mind that comes from working with an established, local company with more than 20 years of experience. 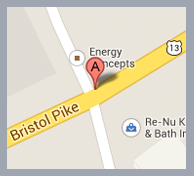 If you're ready to learn how we can help you meet your heating goals, give us a call at 215-245-3200 or click a button below. We'd love to help you!